Singin’ Seniors Holiday Concert! | Feel the Music! 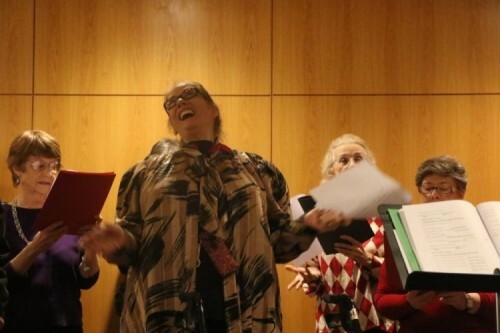 Our holiday concert at Lenox Hill Neighborhood House/St. Peter’s Church was ROCKIN’! Our sincere thanks to all of the friends, family, and members of the community who came out to support these amazing creative singers! Click here for more pics of this festive event. Please consider lending your support to this wonderful program, and help to bring music into the lives of more creative seniors in New York City! We sincerely thank you, all of our friends at St. Peter’s Church, and our wonderful senior students!